Via Bossip– Even after almost 10 years, Michael Vick is still atoning for his dog-fighting transgressions back in 2007. To this day, there are still many people who cannot forgive the Pittsburgh Steelers quarterback for his mistreatment of animals. Vick is on a mission to change that stigma. According to ESPN, he met with legislators at the Pennsylvania state capitol to impress upon them the importance of passing a bill that protects dogs who are left in hot cars during the summer. Vick is scheduled to meet with Pennsylvania lawmakers in support of PA House Bill 1516, or the pets in cars bill, which would give police officers authority to rescue dogs and cats from cars due to unsafe temperatures. 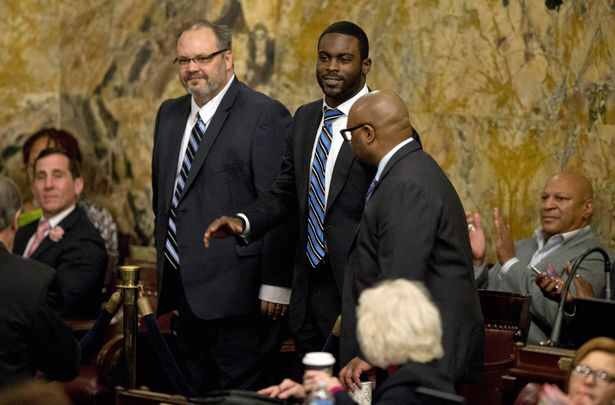 Schoolchildren from Harrisburg, Pennsylvania, will accompany Vick to the state legislature to lobby the Democratic caucus, according to the spokesperson. Representatives Jake Wheatley Jr. and Ed Gainey will host the visit. It’s extremely inspiring to see Mr. Vick not only switch up his bad boy ways after prison, but work endlessly to clean up his image and now put his support behind causes benefiting animals. Life is all about redemption and it looks like he is definetly on the right road. Good job MV! Athletes may be heroes to some, role models to others, but in the eyes of the law, some of them are just plain ol’ criminals. It’s not even just low key ballers, some of the highest profile competitors we’ve ever know have been found guilty of committing some of the most heinous, tragic and downright stupid crimes imaginable. 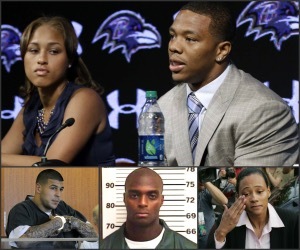 Check out Bossip’s short list of some of the most well-known sports offenders here. Miko Grimes, Wife Of Dolphins Cornerback Brent Grimes, Arrested After Walking Through Police Blockade We were upset to see outspoken NFL wife, Miko Grimes (who is married to Dolphins cornerback Brent Grimes) was arrested outside of the Dolphins/Bills game Sunday night, apparently for disobeying police orders not to cross a blockade.